And don’t you worry- it wasn’t a quality paint job. The original TJ Maxx pricetag was still on the bottom! So, no guilt whatsoever. My upcycling idea? 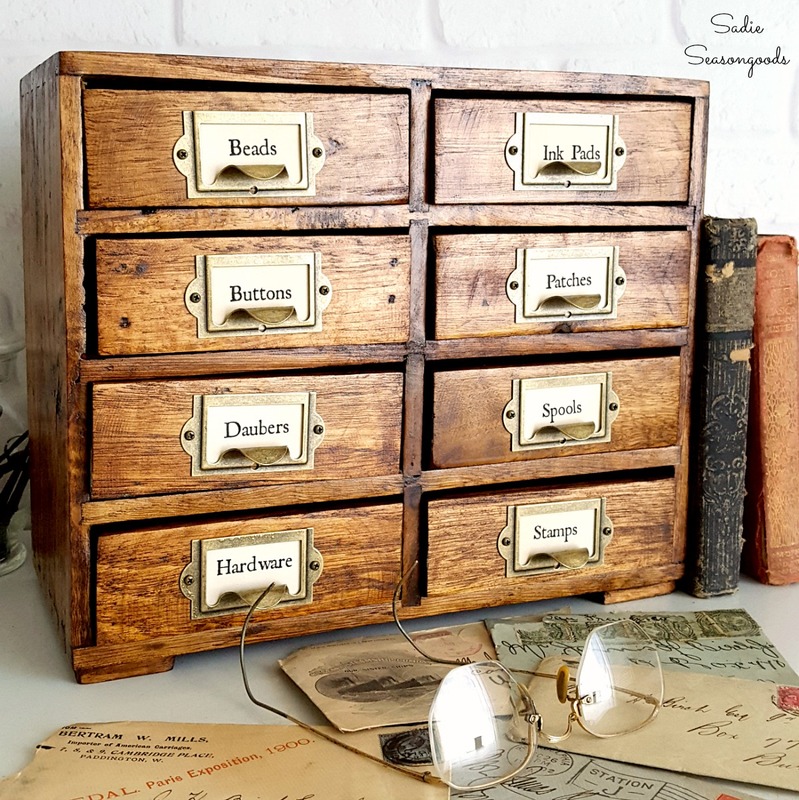 Remove the painted finish, stain the wood underneath, and replace the existing hardware with finger pulls and card holders like a real library card catalog. This post contains affiliate links for your crafting convenience. After bringing the mini drawers / small storage drawers home, I set up shop in our garage- grabbing my orbital sander and coarse, 80-grit sanding disks. I pried off the chintzy drawer pulls and side handles and began sanding. I started with the drawers and was pretty pleased at how easily the paint was removed. It didn’t take too long before I had revealed the clean, pale wood underneath! And I was extra pleased to see varying wood grain- my hope was that the right wood stain would ultimately make it sing. I thought for SURE this would take me a couple of days to finish, but I zipped right along! Truthfully, though, I didn’t focus on the sides of the mini drawers. Instead, I spent my time on the surfaces that would be visible when everything was closed. I planned to use it for storage and organization, but mostly my library card catalog would serve as vintage farmhouse decor. After all was said and done, I had a smooth, clean set of small storage drawers to work with! The wood had a decent grain to it and the chest had dovetail joints- I thought I spied those under the original paint job. Now it was time for my favorite part – wood stain! I picked out a warm color and was anxious to see how it breathed life into the mini drawers. Oh yeah…OH YEAHHH…isn’t that an improvement? And I’m not even done yet with this library card catalog! Can. You. Handle. This? I mean…if I didn’t do all the work myself, I might be in disbelief. But I know for a fact that I danced around my garage on a Friday night, with my sander in one hand and a La Croix in the other, removing the paint. It’s just so…PERFECT. A little library card catalog, just for me – that I can use for storage AND vintage home decor. But ok, ok- let’s finish transforming the mini drawers into the library card catalog of my dreams. I put my drill away (which I used to attach the finger pulls) and printed some mini labels to insert in each pull. NOW it was done…ready to be filled with craft supplies or anything else that would fit inside the small storage drawers. See those dovetail joints that I was talking about? And the gorgeous wood grain! Even though I was really excited about upcycling this piece of thrift store furniture, even I couldn’t predict how gorgeous it could become. Every time I look for a card catalog for sale, it’s out of my price range or is a modern reproduction. I finally have a library card catalog! I could never afford the Real McCoy so a thrifted makeunder was my best bet. And yes, you can bet your bottom dollar that if I see another set of mini drawers on the thrift store shelves, I’ll be doing this as often as I can. One can never have too many small storage drawers, especially when they double as vintage farmhouse decor! 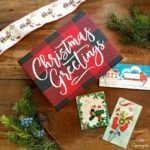 And if you’re looking for more farmhouse inspiration, I hope you’ll check out my other farmhouse style projects here! Personally, I like those chintzy drawer pulls, but I really like what you’ve used in the final piece. I love boxes, especially boxes with drawers. I love this make under! Oh Sarah, this little cabinet is a stunning makeover! You really did this little cabinet a favor and made her beautiful. I know it was a lot of work. The new pulls with labels are perfect. 🙂 Thank you for all the details. She really does look authentically vintage. Enjoy and create on! Three words: Made in China. LOL- but I agree, why bother covering with a still life when there is such pretty wood grain underneath?? Absolutely love your new old library drawers!! Great job. Loved this! I will be on the look out for these myself! Thanks, Kimberley!!! I’m totally going to be looking for another one, LOL! Turned out great!…I was surprised to see that there was real wood under there. Right?? It was the most pleasant of surprises!! Perfection!!! 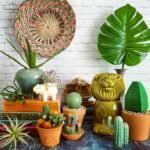 This is my new favorite project on your blog! Absolutely love this!! Great work! OMG! Adorable! I’m on the lookout for something similar now!! Too cute. These drawers look amazing, fantastic make under! Hahaha, I thought about it!!! But actually, I’ve decided to give to a dear friend of mine who can use the mini drawers for her jewelry business! Wow, Sarah, this looks so good! What a great makeUNDER and gives this box such character. Love the new function you’ve assigned to it too. My craft/sewing room could use one of these. Thank you so very much, Cecilia! Your makeunder is gorgeous! If it was such a nice wooden box, why did they cover it up that way??? My problem is, being close to a hoarder, that I would fill those tiny drawers up TOO quickly with my bits and bobs! Glad you could see the “good bones” of the box–if I did it, it would probably be cardboard underneath! Awesome job and a great tutorial, too. Wow, wow, wowzers what a transformation! I can’t believe there was wood, and not mdf under that fruity mess. What a beautiful transformation!!! I would have never guessed there could be dovetail drawers and nice wood graining underneath a TJ Maxx piece! Love how this turned out! Right??? 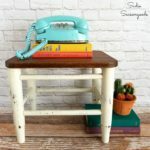 A TJ Maxx piece that became a Goodwill piece that became my card catalog- a long road but worth every mile! Oh my gosh… as a librarian who also can’t afford an actual card catalog, I love this SO much. Will definitely be keeping an eye out for one! Beautiful job! Thank you so very much, Jamie!! I feel your pain! N-I-c-e! I thought “Makeunder”? What in the world? Well, now I know! Bye-bye not so special still life and hello cute card catalog! Hm, I think I may have a little box that needs a makeunder! Hahaha, thank you so much, Cecilia!! Oh my goodness Sarah, you uncovered some gorgeous wood, she is a beauty! You have a great eye I love your brilliant transformation!! Now, I know a new word: “makeunder”. I love what you did with this little chest. It looks like a great piece to use in a craft room. Wow. What an amazing makeover. You really took something that was pretty icky and turned it into something so spectacular. Great Job! That is so awesome – so much better than the original! Thanks for sharing on the Pleasures of the NW’s DIY party! This project is an OMG gorgeous project. I love it, love it, and ya, love it!!! Keep dancing Sarah because once again you nailed it! I have lots of doo-dads waiting on something like this. Thank you for sharing with us this week at Celebrate Your Story, and I hope your week is going great. Sarah yet another incredible makeover. You are so talented. Thank you so much for sharing! You already know how much I love these library card drawers! Now I’m happy to tell you that you’re featured this week at the This is How We Roll Link Party. This is awesome! It looks like the perfect size to sit on a desk and hold all the most used goodies. Will be perfect for your friend to use in her jewelry making 🙂 Pinned for inspiration. I hope I come across one of these! This is so adorable! Who knew? Oh right, you did! I’ve looked and may have missed it, but where did you get the new label/drawer pulls. I need those! I’m clapping my hands, cause I’m happy and I know it!!! Sooooo doing this! Thanks a bunch! Hahaha, I love it- thank you, Minnie!! That is one awesome makeunder!! I love it!! I think your blog is my new obsession!! You are very talented!! Thank you so very much!! I can’t tell you what it means to me to hear that!! Just amazing. I so enjoy all of your makeovers. Thank you, Mary, so very much! It always means the world to hear that. I have this exact same jewelry box, I always thought it slightly cheesy, but it was my Mom’s so I have kept it and used it for my jewelry. Being a furniture up-cycler it is funny that I happened across your pin! I love the idea of the card catalogue and will have to try it :). Better than the painted fruit. That’s too funny, Kitty!! It’s amazing how pretty the wood is underneath that painting! Holy Cow is right!!! I’ve seen that same piece in the thrift store and I’m jumping on it next time! That is an amazing make-under and I love it so much!!! Do it! There’s a gem waiting under that paint…mine had the original TJ Maxx pricetag on the very bottom so they were definitely mass produced! 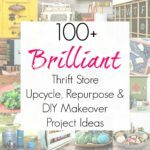 I would have never seen the finished project if I had looked at those drawers in a thrift store… Thank you for opening my eyes and seeing the possibilities. Love this and gotta have one! So, where do we get those little pulls on the front for the labels ? Hobby Lobby ? That’s awesome! Did you get it at TJ Maxx? The one I found at Goodwill had a TJ Maxx pricetag on the bottom. Thank you, Anita! See the bold blue text when I discuss them? That’s an affiliate link to the exact ones I used so that you can buy them, too. I link to as many products as I can- look for those bold blue links (sometimes underlined, sometimes not).